Veretekk invented Automated Marketing (in 1996), later to become known as Inbound Marketing (MarketHive). Veretekk’s traffic portal offers, auto responders, Broadcasting technology (The Hammer), Conference rooms and sales funnel process became the foundation that today is known as Inbound Marketing. 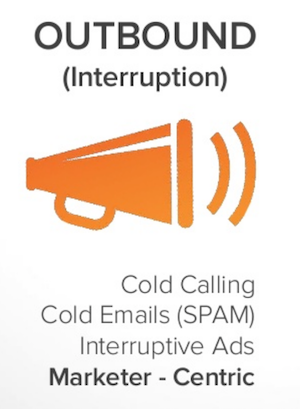 telemarketing and other forms of traditional advertising. 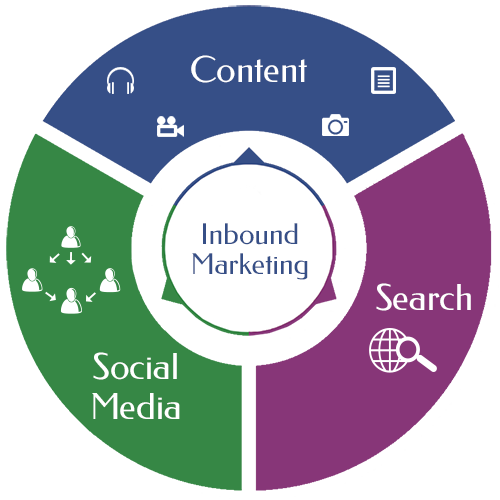 Inbound marketing is the most effective marketing method for doing business online. Inbound marketing focuses on creating quality content that pulls people toward your company and product, where they naturally want to be. By aligning the content you publish with your customer’s interests, you naturally attract inbound traffic that you can then convert, close, and delight over time. Simply concept really, execution is the challenge. (Just ask a few of your friends how often they blog) vs posting to Facebook newsfeeds, Skyping or texting back and forth. With a little understanding, some instruction and determination, any entrepreneurial motivated person can make a success with the right tools. This is why it is important to know your “WHY” as that is what will drive your market base. What you love to do will attract others that share the same passion. And that is the “secret”. Sharing is caring and inbound is about creating and sharing content with the world. By creating content specifically designed to appeal to your dream customers, inbound attracts qualified prospects to your business and keeps them coming back for more. By publishing the right content in the right place at the right time, your marketing becomes relevant and helpful to your customers, not interruptive. Now that’s marketing people can love. We don’t want just any traffic to our site, we want the right traffic. We want the people who are most likely to become leads, and, ultimately, happy customers. Who are the “right” people? Our ideal customers, also known as our buyer personas. Buyer personas are holistic ideals of what your customers are really like, inside and out. Personas encompass the goals, challenges, pain points, common objections to products and services, as well as personal and demographic information shared among all members of that particular customer type. Your personas are the people around whom your whole business is built. 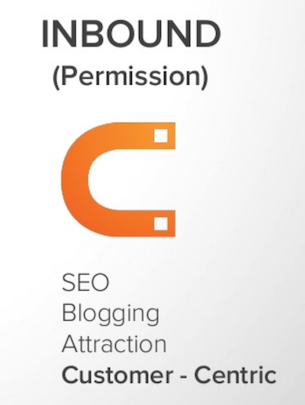 Blogging- Inbound marketing starts with blogging. A blog is the single best way to attract new visitors to your website. In order to get found by the right prospective customers, you must create educational content that speaks to them and answers their questions. SEO- Your customers begin their buying process online, usually by using a search engine to find something they have questions about. So, you need to make sure you’re appearing prominently when and where they search. To do that, you need to carefully, analytically pick keywords, optimize your pages, create content, and build links around the terms your ideal buyers are searching for. Pages- Your website pages are your digital storefront. So put your best face forward! Optimize your website to appeal to your ideal buyers and transform your website into a beacon of helpful content to entice the right strangers to visit your pages. Social Publishing- Successful inbound strategies are all about remarkable content - and social publishing allows you to share that valuable information on the social web, engage with your prospects, and put a human face on your brand. Interact on the networks where your ideal buyers spend their time. Once you’ve attracted website visitors, the next step is to convert those visitors into leads by gathering their contact information. At the very least, you’ll need their email addresses. Contact information is the most valuable currency there is to the online marketer. So in order for your visitors to offer up that currency willingly, you need to offer them something in return! That “payment” comes in the form of content, like eBooks, whitepapers, or tip sheets - whatever information would be interesting and valuable to each of your personas. Forms- In order for visitors to become leads, they must fill out a form and submit their information. Optimize your form to make this step of the conversion process as easy as possible. Calls-to-action are buttons or links that encourage your visitors to take action, like “Download a Whitepaper” or “Attend a Webinar.” If you don’t have enough calls-to-action or your calls-to-action aren’t enticing enough, you won’t generate leads. Landing Pages- When a website visitor clicks on a call-to-action, they should then be sent to a landing page. A landing page is where the offer in the call-to-action is fulfilled, and where the prospect submits information that your sales team can use to begin a conversation with them. When website visitors fill out a form on a landing page for the first time, that visitor becomes a contact. Contacts- Keep track of the leads you're converting in a centralized marketing database. Having all your data in one place helps you make sense out of every interaction you’ve had with your contacts - be it through email, a landing page, social media, or otherwise - and how to optimize your future interactions to more effectively attract, convert, close, and delight your buyer personas. You’re on the right track. You’ve attracted the right visitors and converted the right leads, but now you need to transform those leads into customers. How can you most effectively accomplish this feat? Certain marketing tools can be used at this stage to make sure you’re closing the right leads at the right times. CRM- Keep track of the details about all the contacts, companies, and deals in your pipeline, and easily get in touch with the right prospects at the right time. Customer Relationship Management (CRM) systems facilitate sales by making sure you have the right information at your fingertips to better engage with prospects across every channel. Closed-loop Reporting- How do you know which marketing efforts are bringing in the best leads? Is your sales system effectively closing those best leads into customers? Integration with your CRM system allows you to analyze just how well your marketing and sales teams are playing together. Email- What do you do if a visitor clicks on your call-to-action, fills out a landing page, or downloads your whitepaper, but still isn’t ready to become a customer? A series of emails focused on useful, relevant content can build trust with a prospect and help them become more ready to buy. Marketing Automation- This process involves creating email marketing and lead nurturing tailored to the needs and lifecycle stage of each lead. For example, if a visitor downloaded a whitepaper on a certain topic from you in the past, you might want to send that lead a series of related emails. But if they follow you on Twitter and visited certain pages on your website, you might want to change the messaging to reflect those different interests. The Inbound way is all about providing remarkable content to our users, whether they be visitors, leads, or existing customers. Just because someone has already written you a check doesn’t mean you can forget about them! Inbound companies continue to engage with, delight, and (hopefully) upsell their current customer base into happy promoters of the organizations and products they love. Surveys- The best way to figure out what your users want is by asking them. Use feedback and surveys to ensure you’re providing customers with what they’re looking for. Smart Calls-to-Action- These present different users with offers that change based on buyer persona and lifecycle stage. Smart Text- Provide your existing customers with remarkable content tailored to their interests and challenges. Help them achieve their own goals, as well as introduce new products and features that might be of interest to them. Social Monitoring- Keep track of the social conversations that matter to you most. Listen out for your customers’ questions, comments, likes, and dislikes – and reach out to them with relevant content. The Inbound Methodology covers each and every step taken, tool used, and lifecycle stage traveled through on the road from stranger to customer. It empowers marketers to attract visitors, convert leads, close customers, and delight promoters. The new methodology acknowledges that inbound marketing doesn’t just happen, you do it. And you do it using tools and applications that help you create and deliver content that will appeal to precisely the right people (your buyer personas) in the right places (channels) at just the right times (lifecycle stages). An Entrepreneurial Social Network integrated with an advanced Inbound Marketing platform is genius on steroids. Sharing up to 50% of the potential revenue with you is very generous and the potential of this combination is atomic! It appears that Inbound marketing is the most effective means to get traffic to the source or business your trying to get attention to thus getting leads, and customers. Wow! This is so Awesome and the price of zero can't be beat I was paying over $300 per month for auto res ponder plus capture page and link tracking what more for this at zero cost??? The Markethive Platform is exceptional. The tools are quality plus! I have found my new home where I can build and brand myself professionally along with like-minded Entrepreneurs, and get paid for it. The whole system is completely free! If you see the vision like I do, upgrade to Entrepreneur level and be in at ground floor level, and have shares in this amazing next level Market Network. No other platform has got this. It's history in the making, just like Facebook was. Imagine if you got in with Facebook when it first started? Now you have that chance with Markethive!